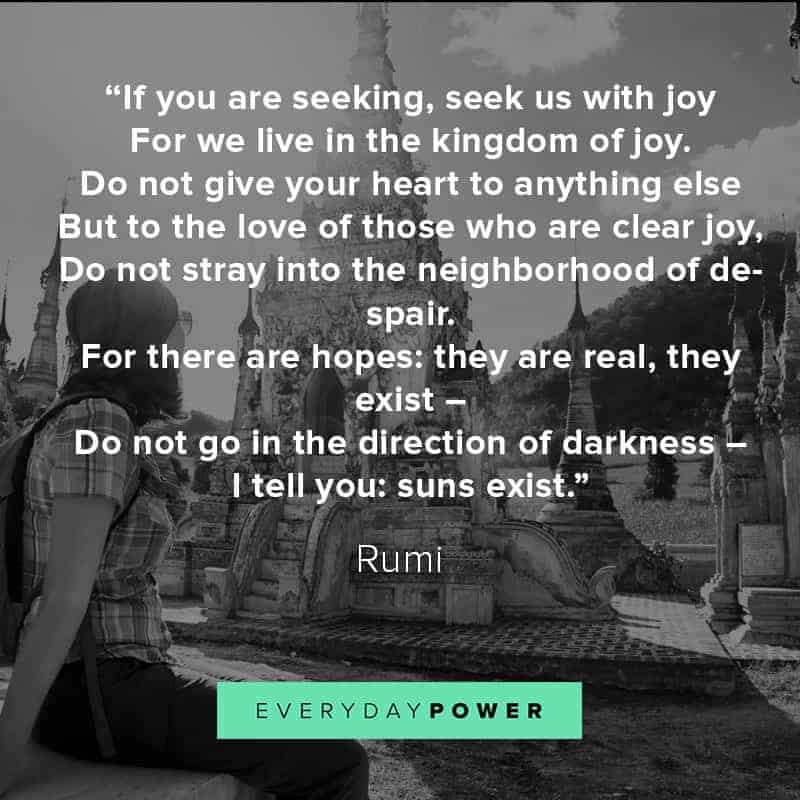 Our latest collection of inspirational Rumi quotes and sayings that will make you see the bright side of life. 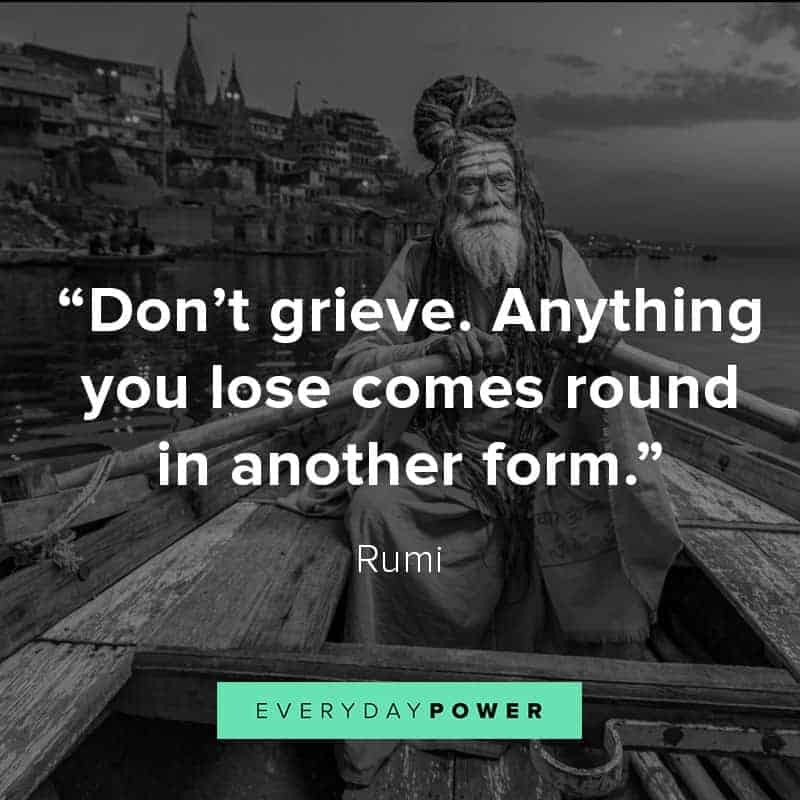 Rumi quotes are well known for being wise, thought-provoking and powerful. 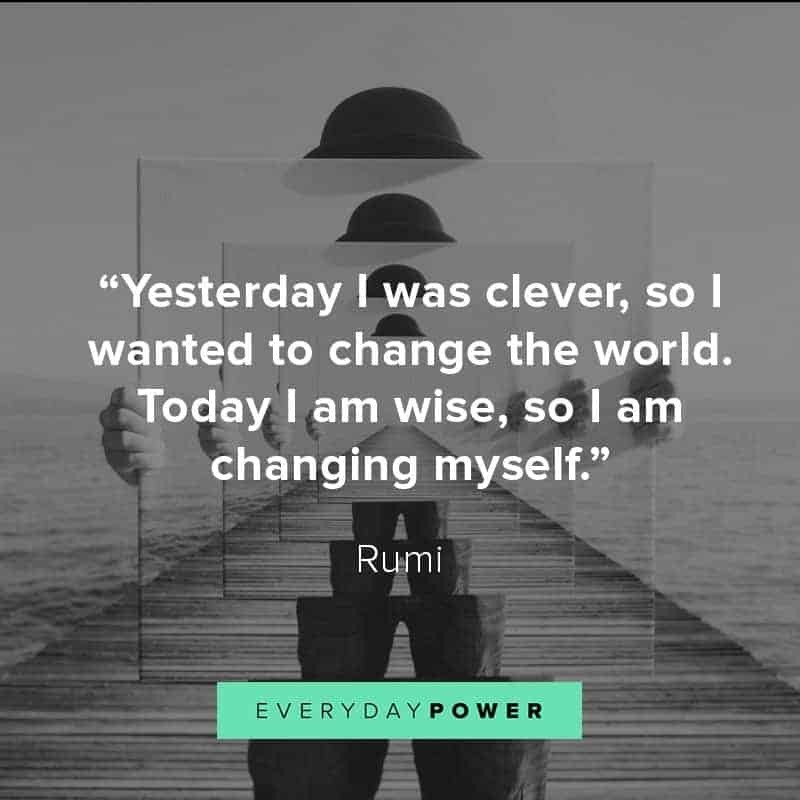 Let these inspirational quotes and motivational quotes help you realize all the power and beauty you have inside you. 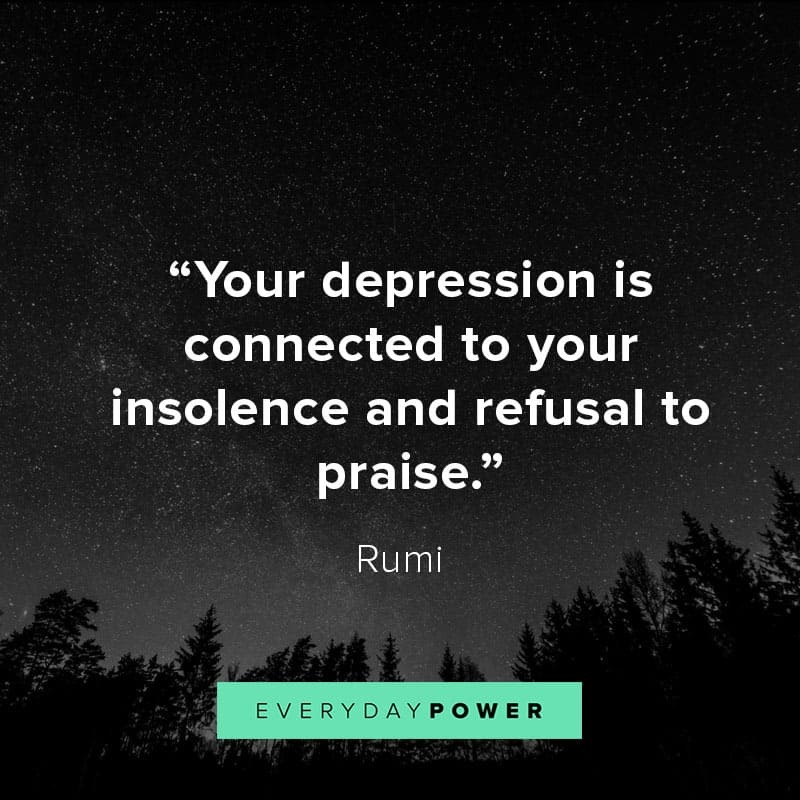 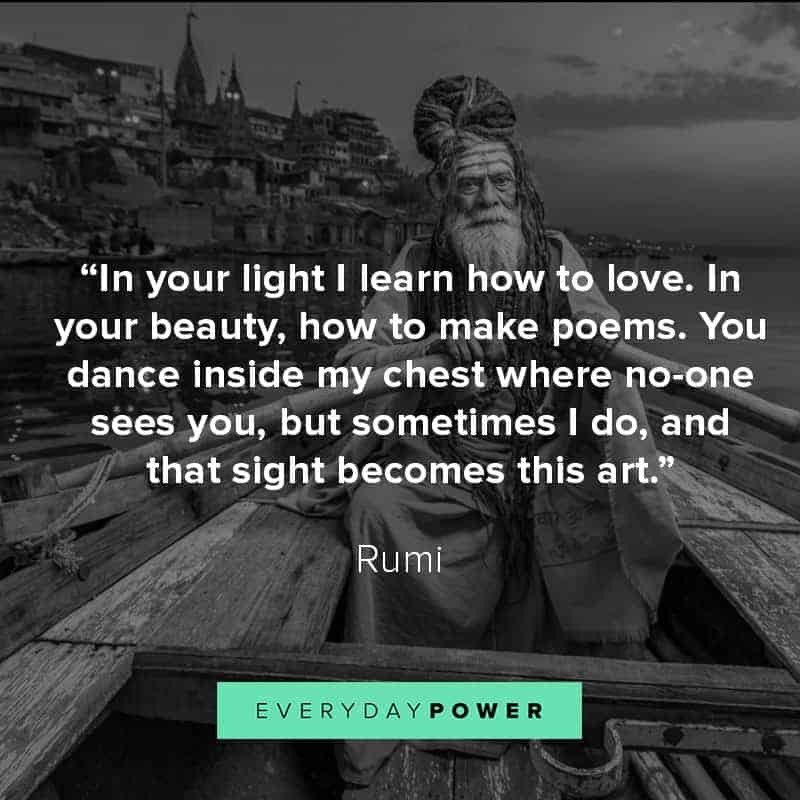 Rumi was a 13th-century Persian poet who’s had a massive influence on Muslim writing and culture. 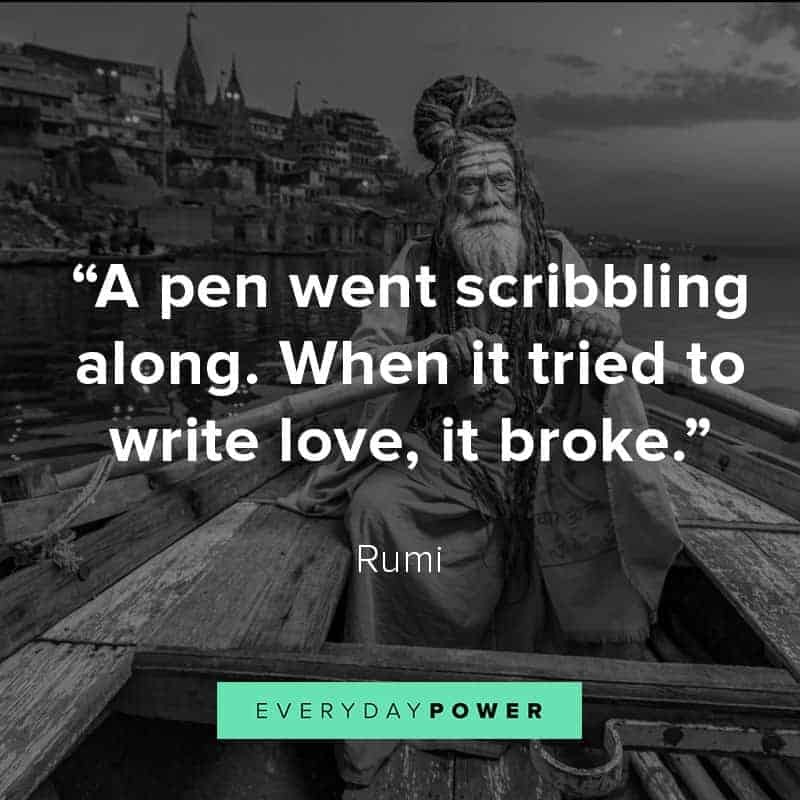 He has a huge following around the world and is actually one of the best selling poets in the USA. 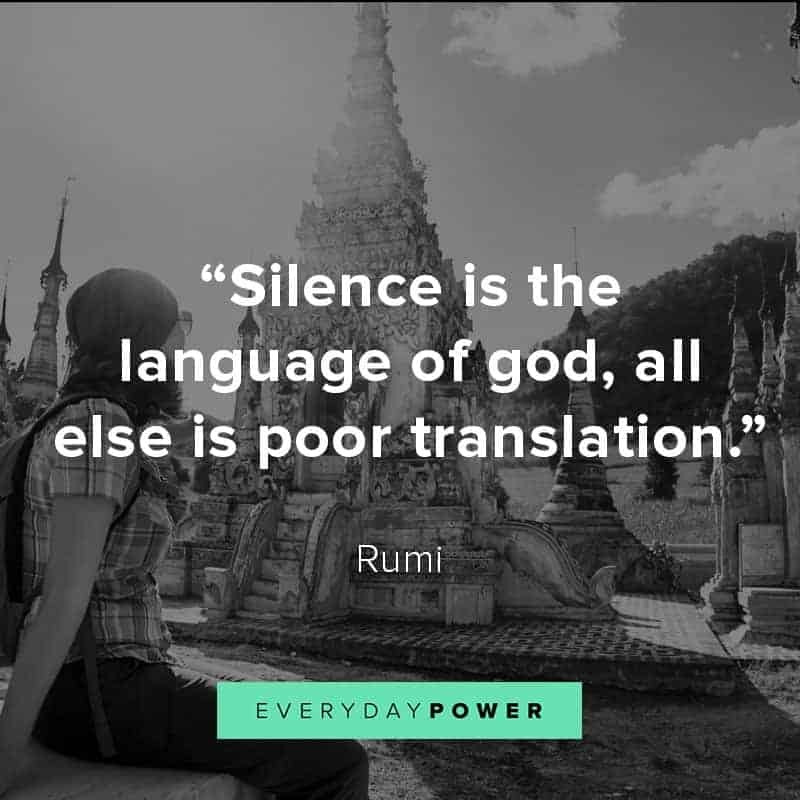 His works have been translated to many different languages, including Spanish, Turkish, German, Russian, Urdu, Arabic, French and Italian. 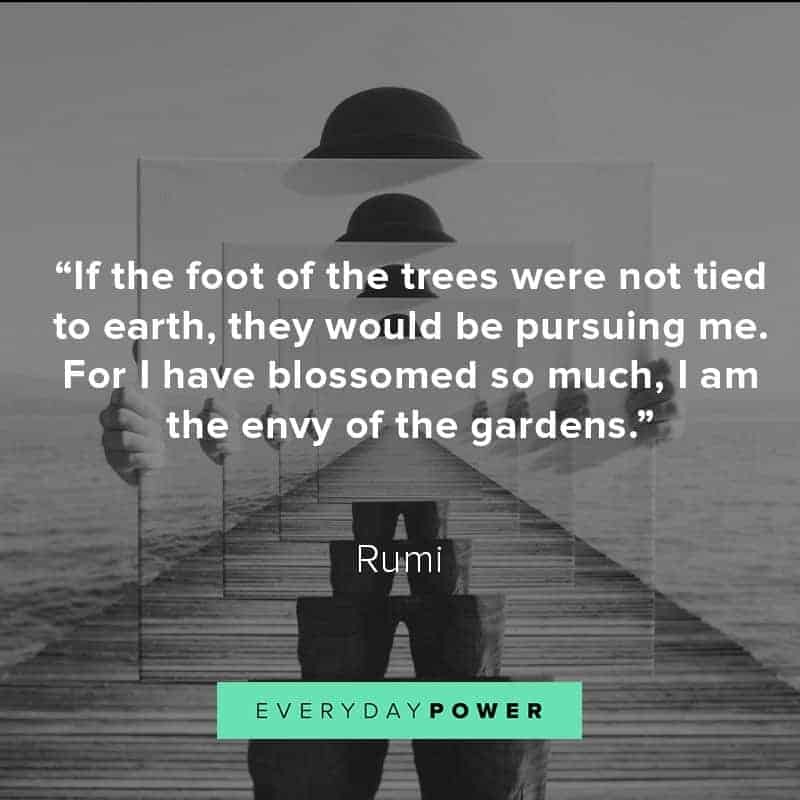 Brad Gooch, who wrote a biography of Rumi, describes him as “a poet of joy and of love”. 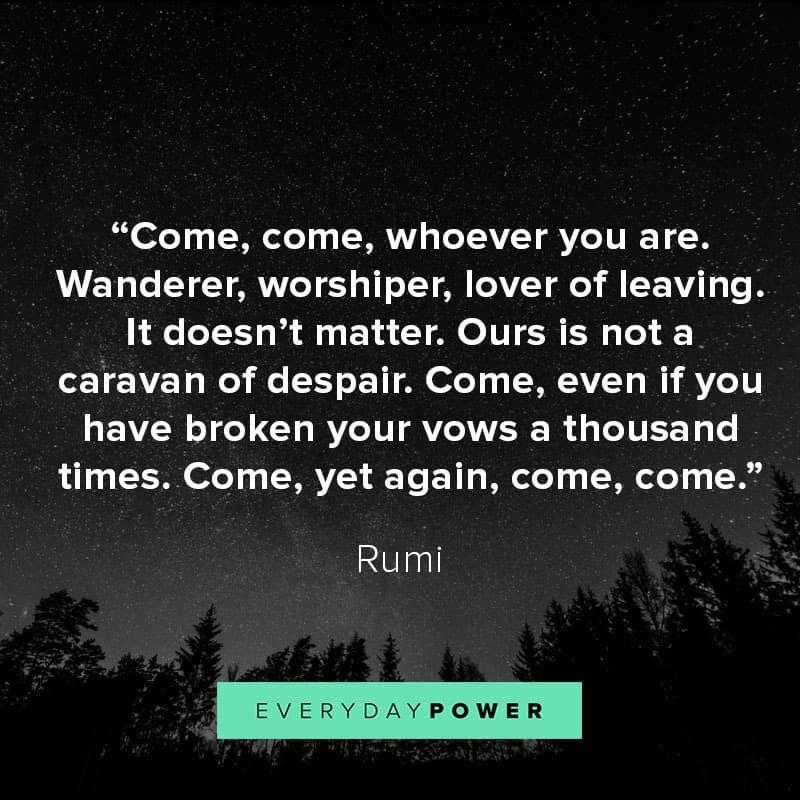 Rumi’s work continues to resonate today. 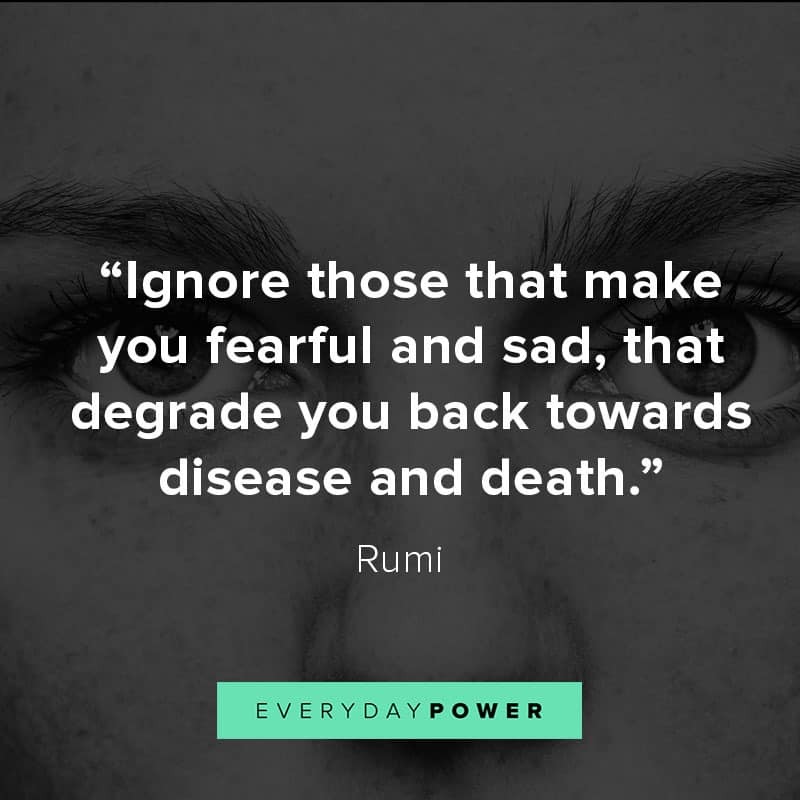 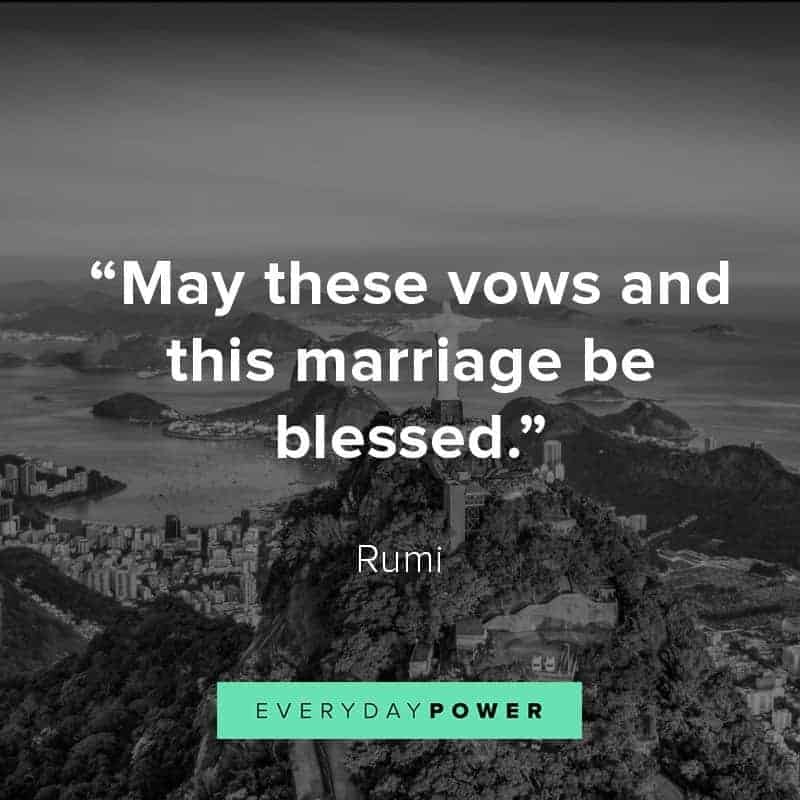 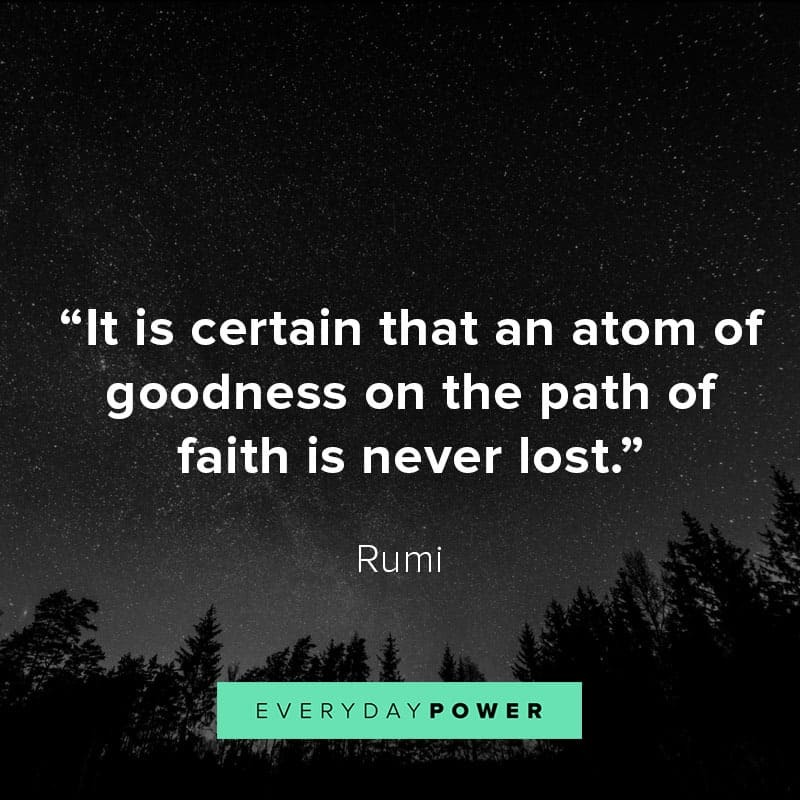 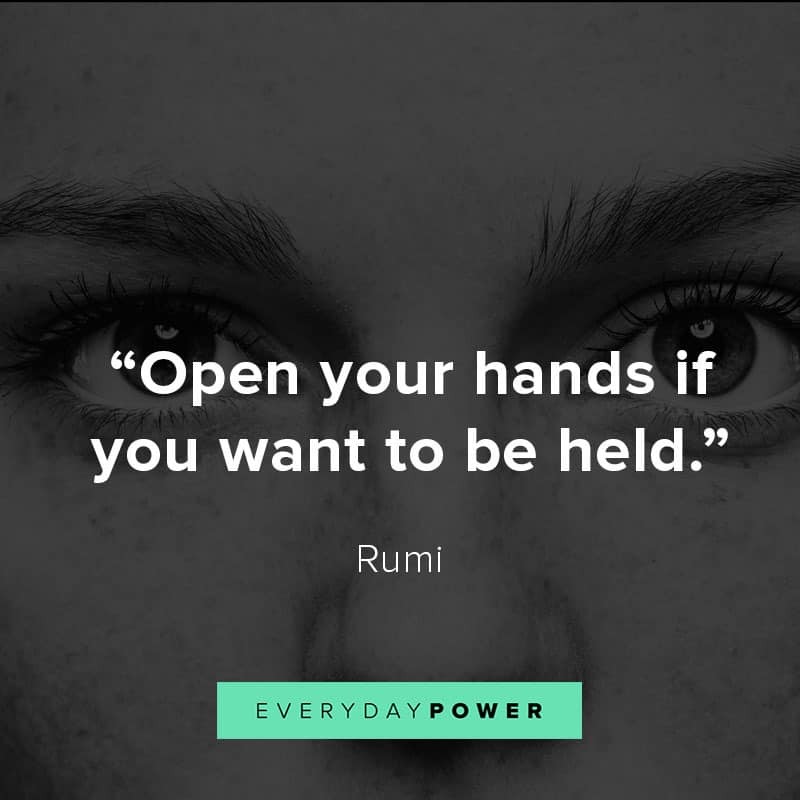 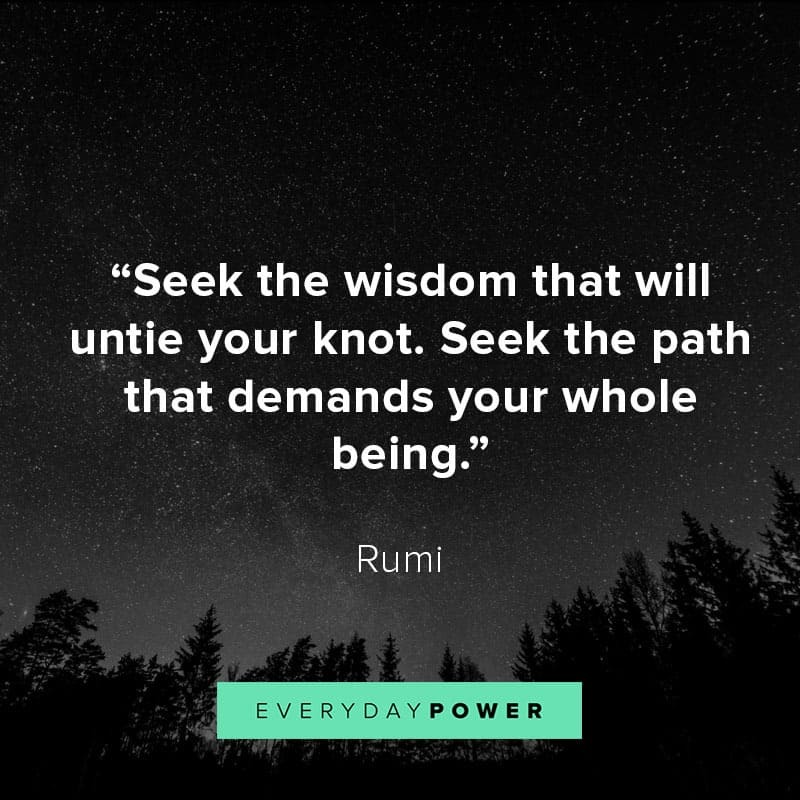 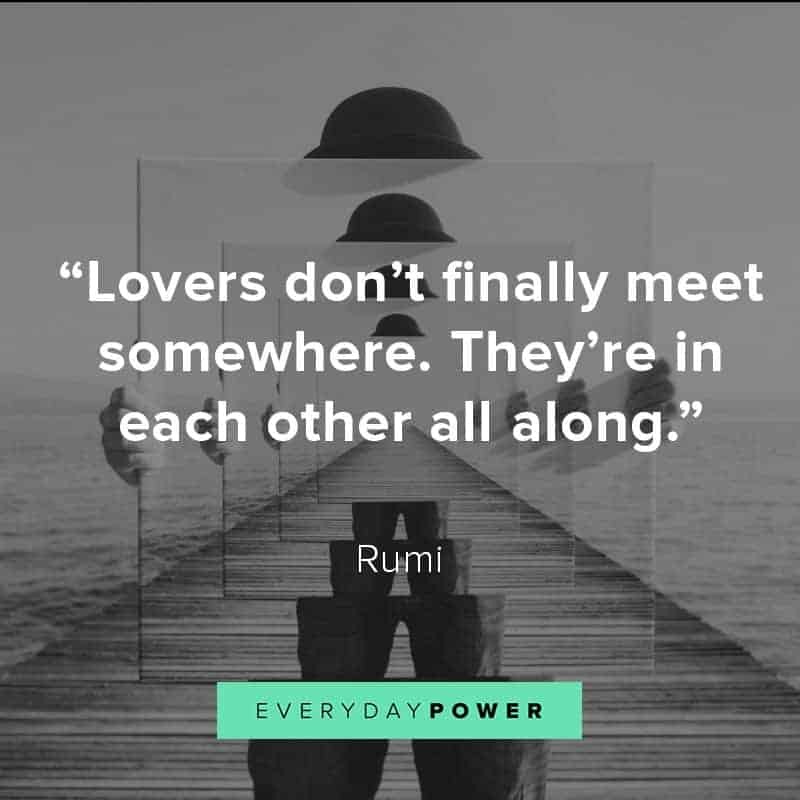 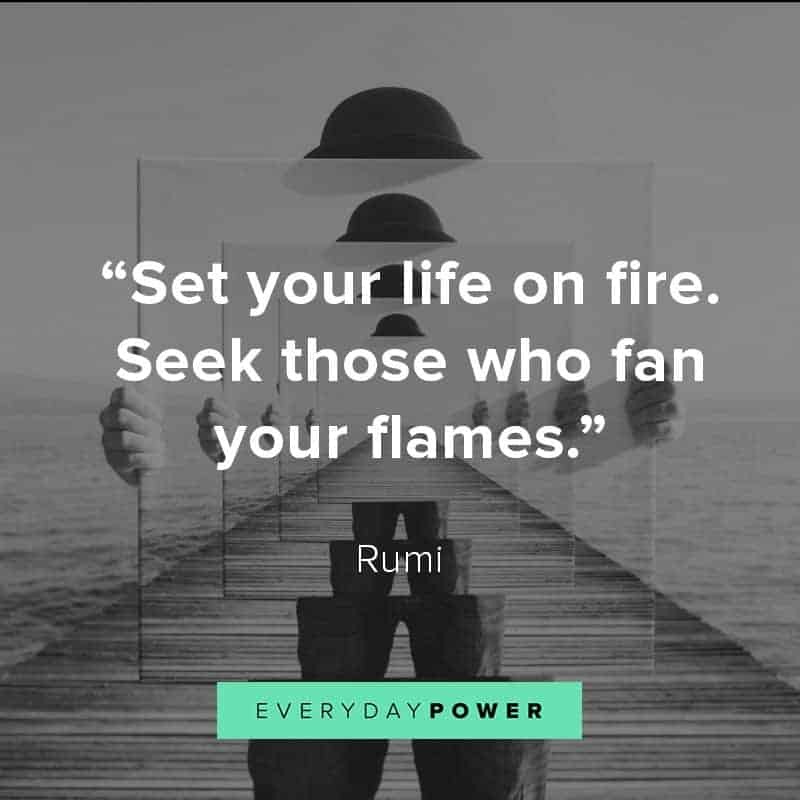 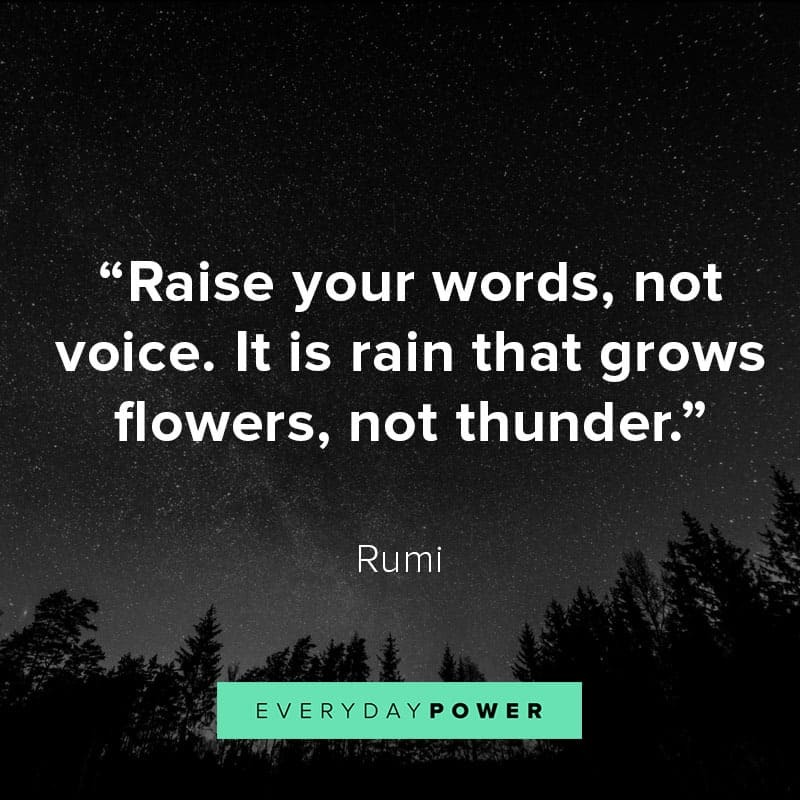 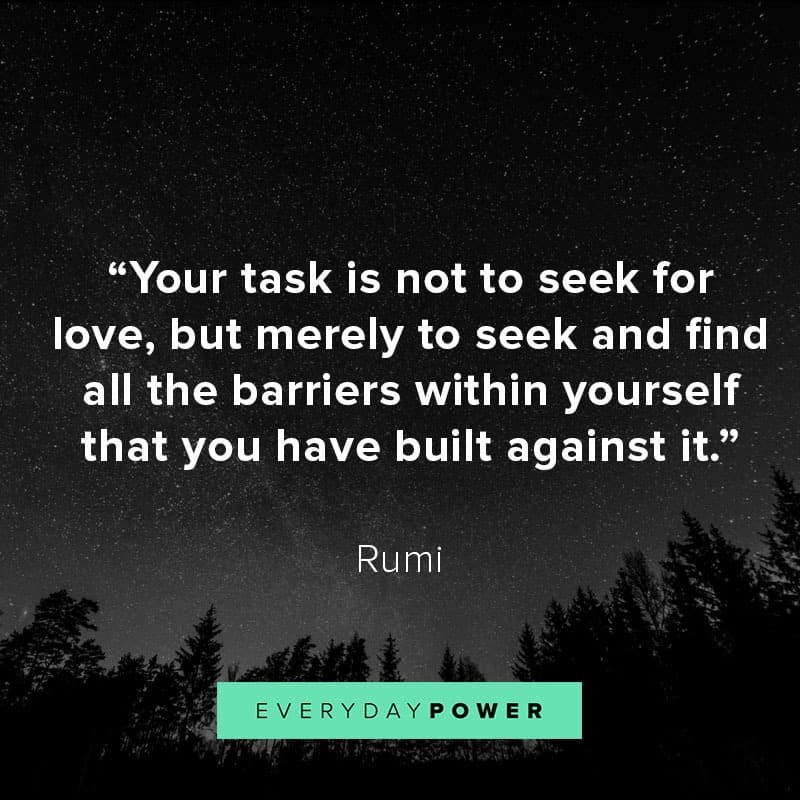 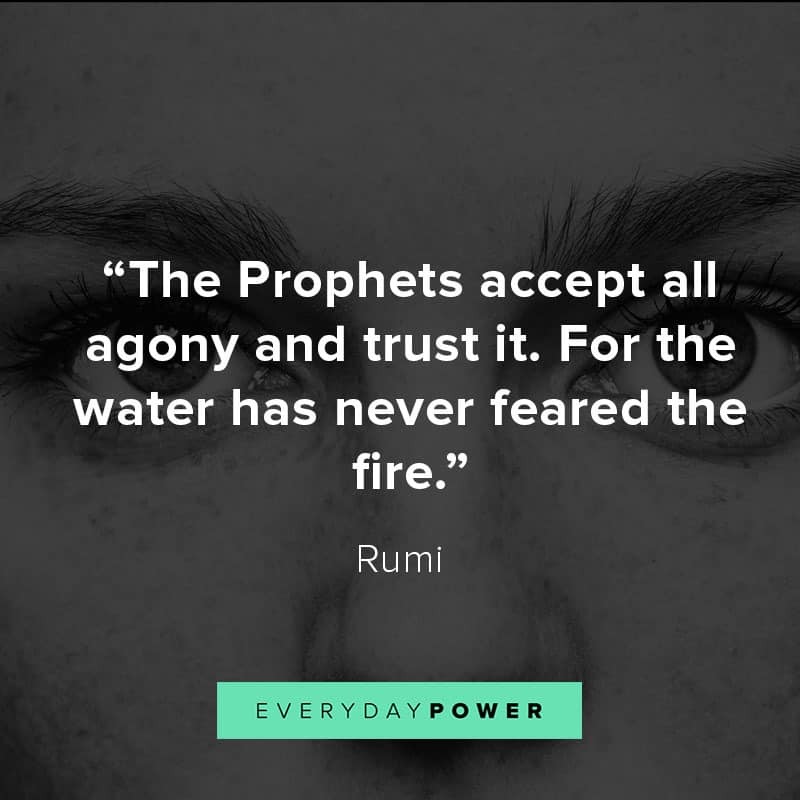 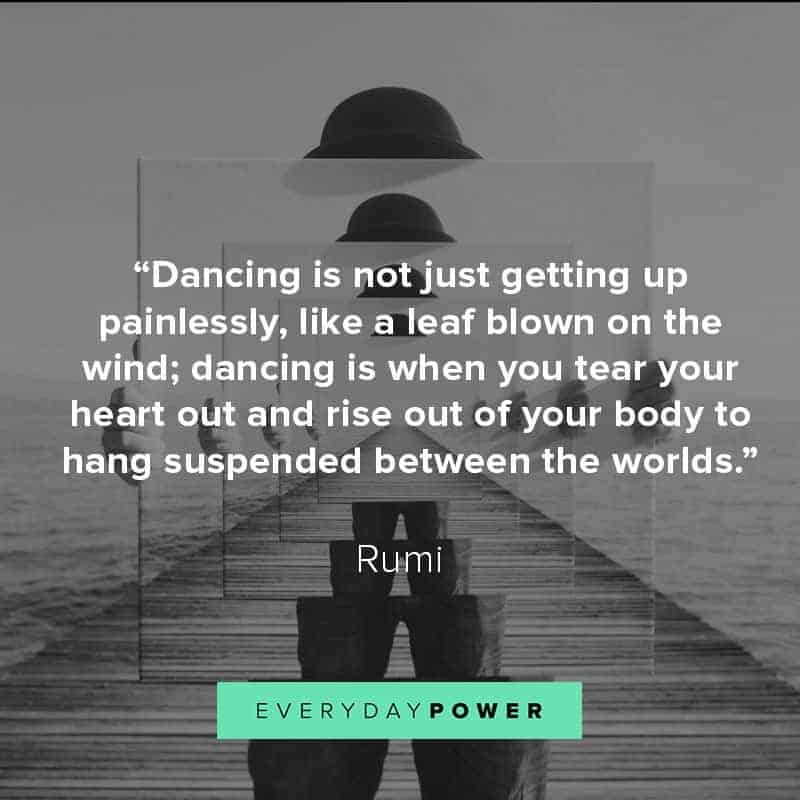 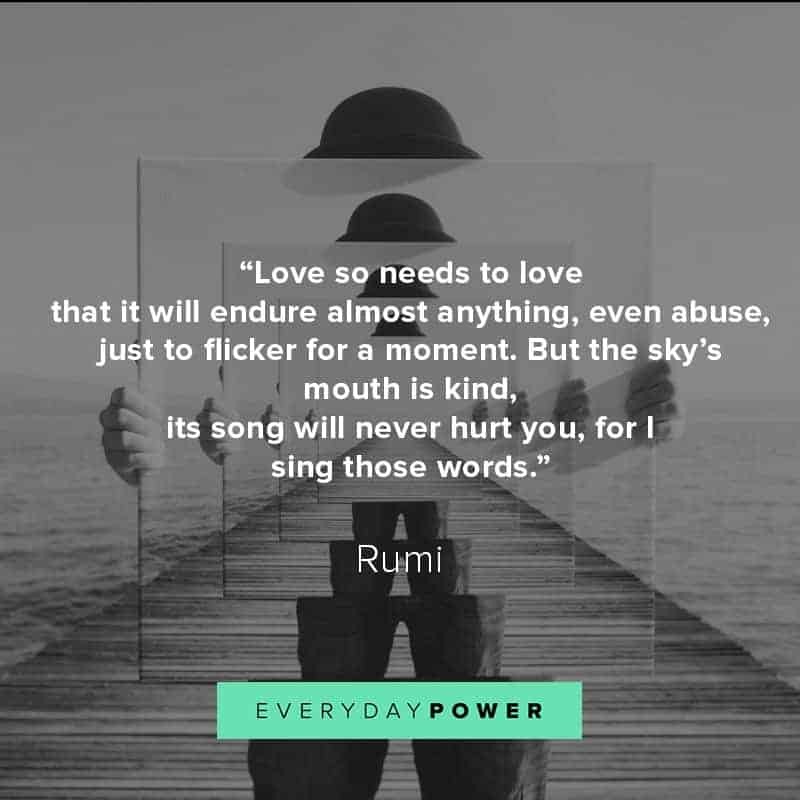 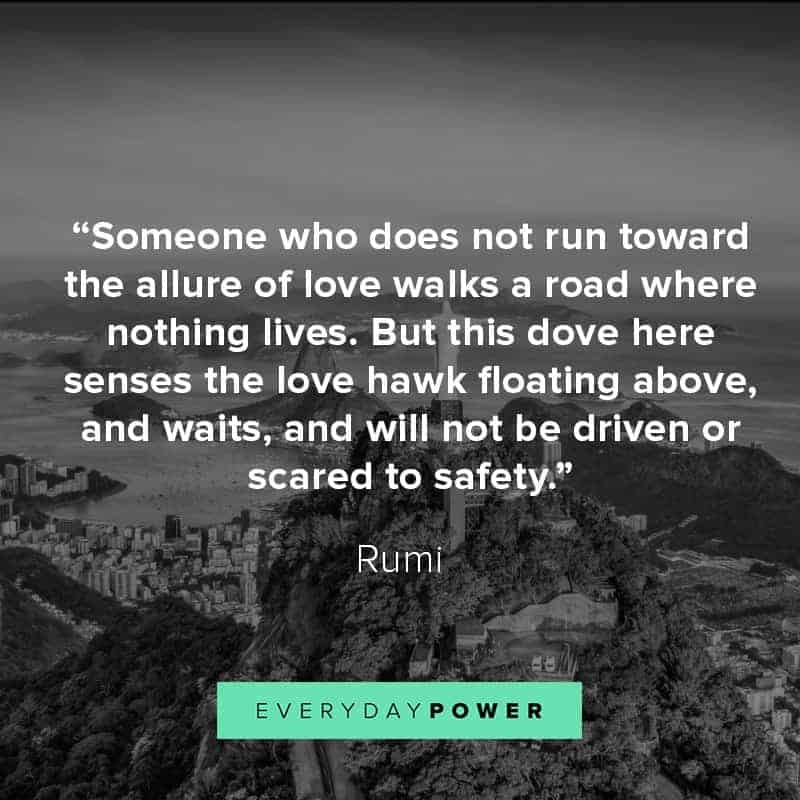 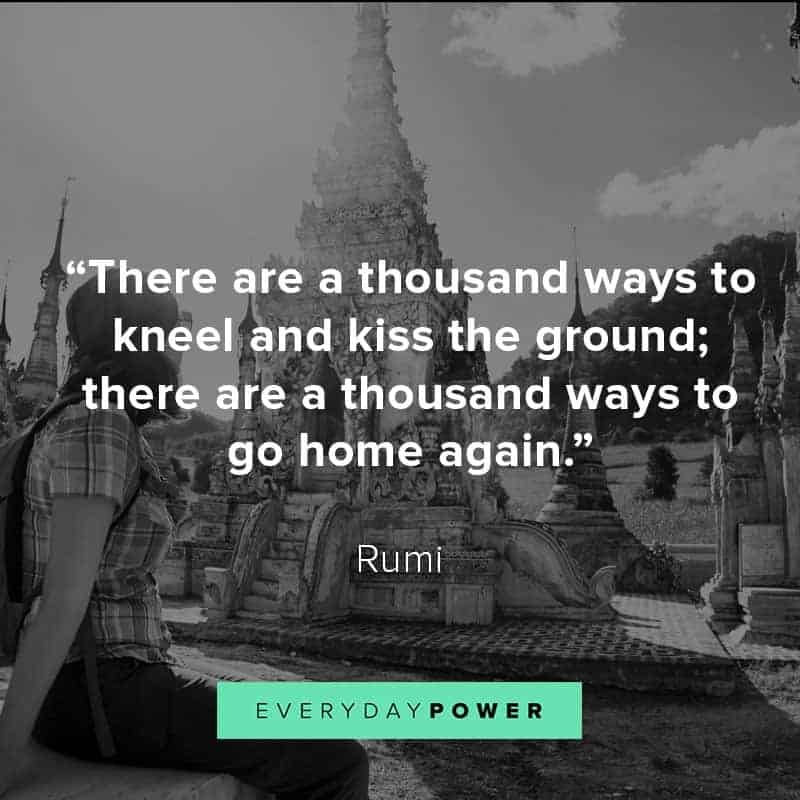 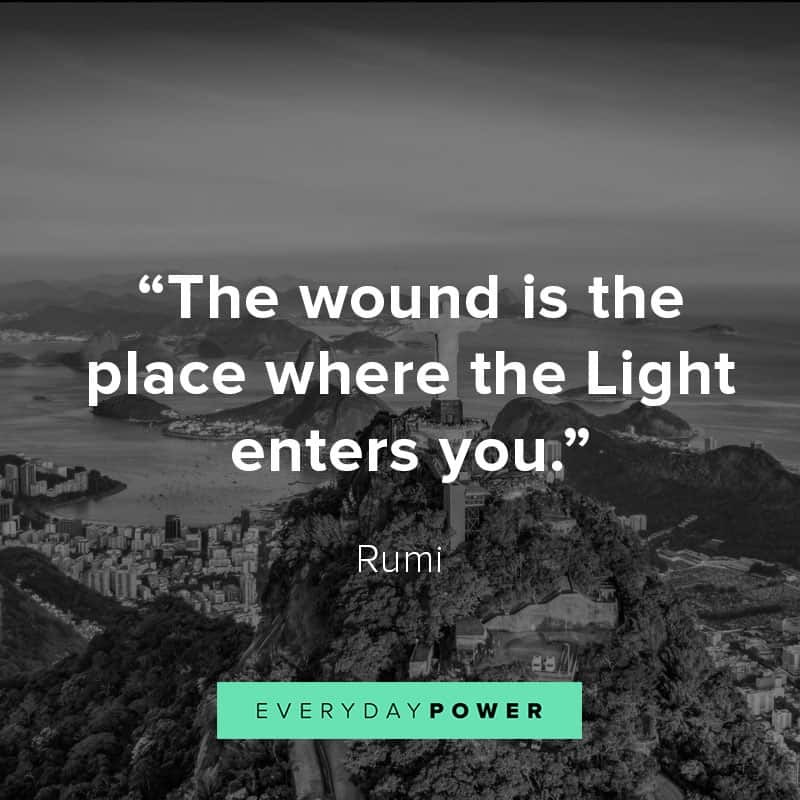 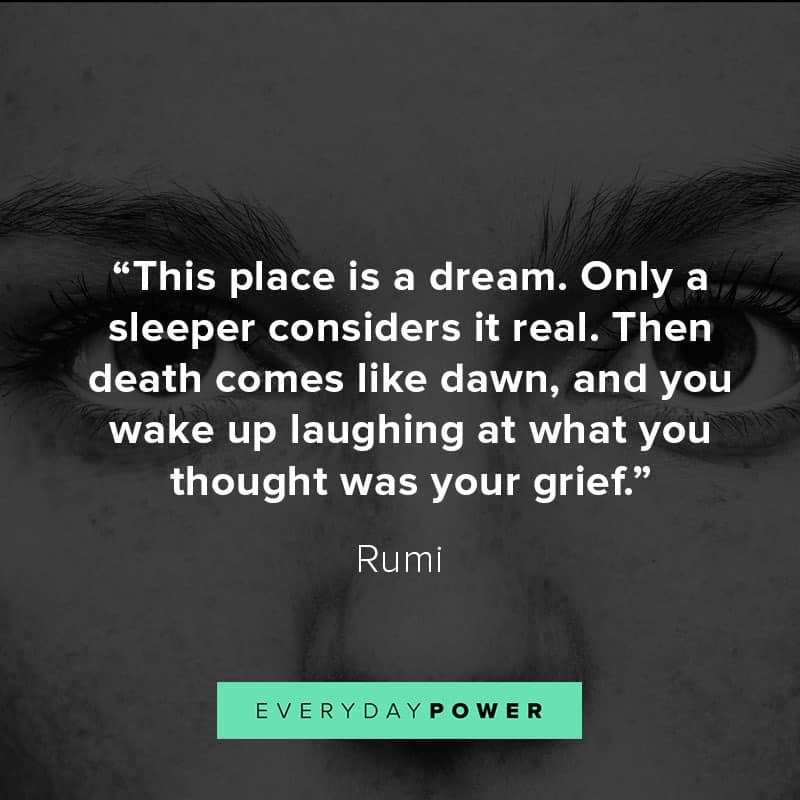 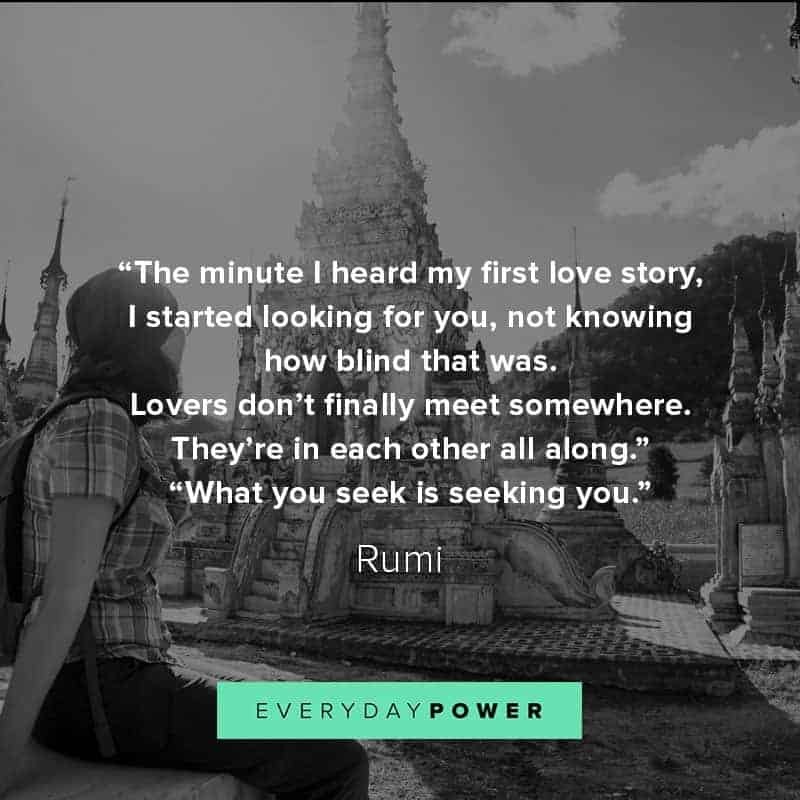 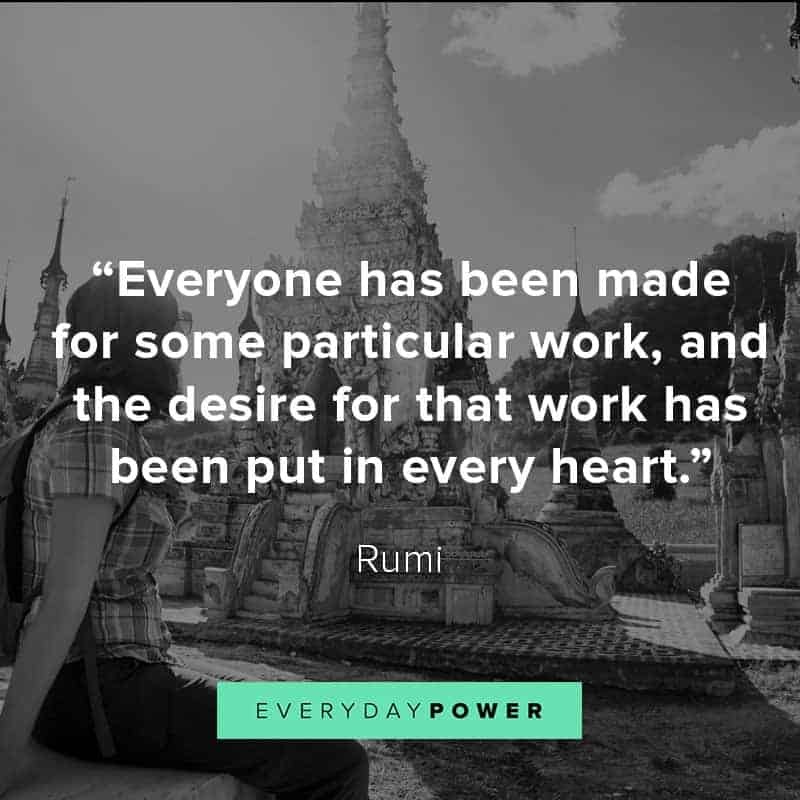 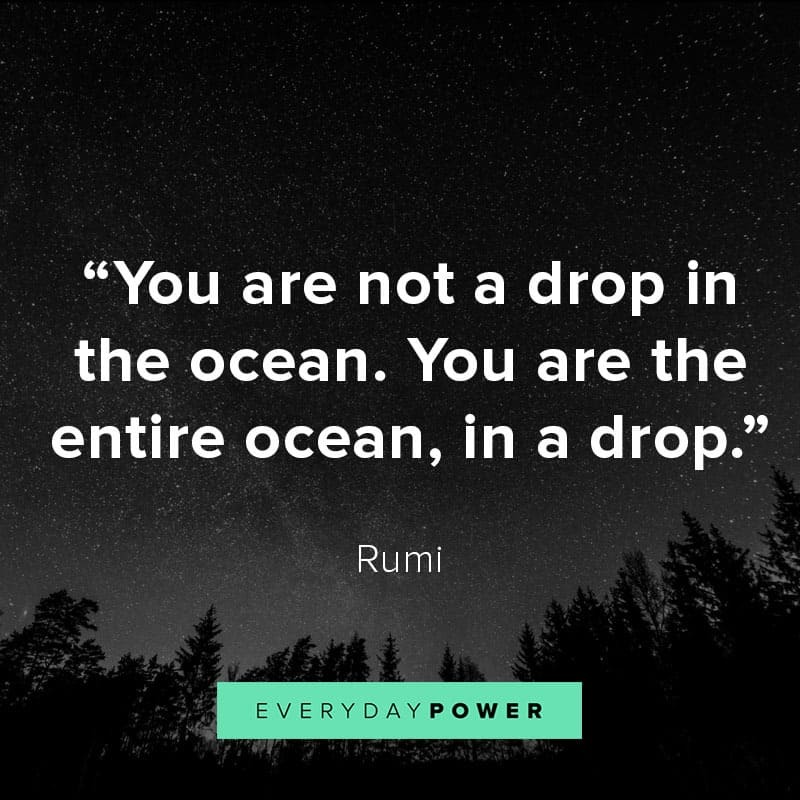 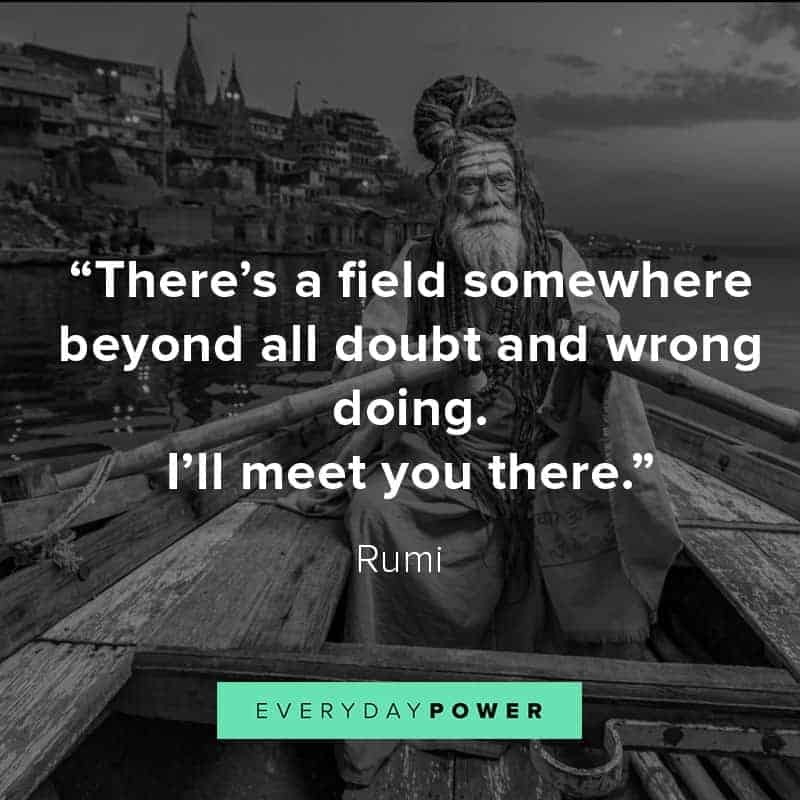 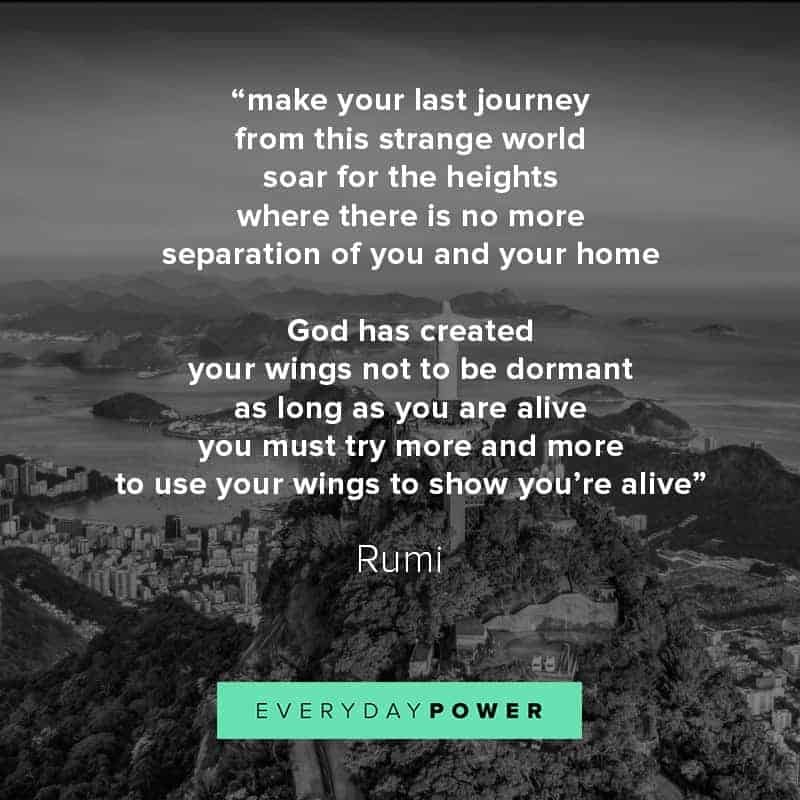 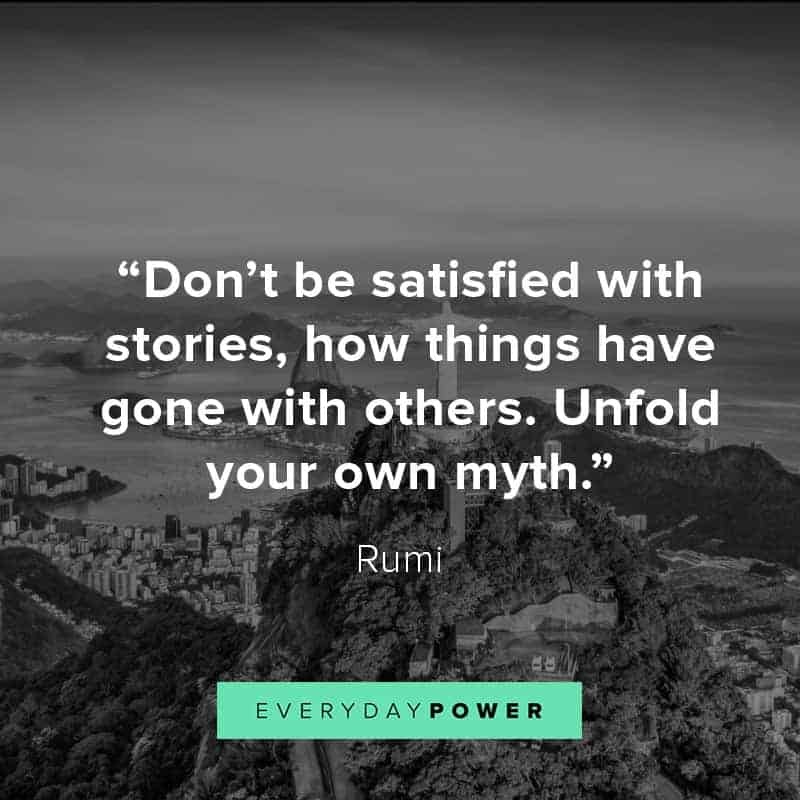 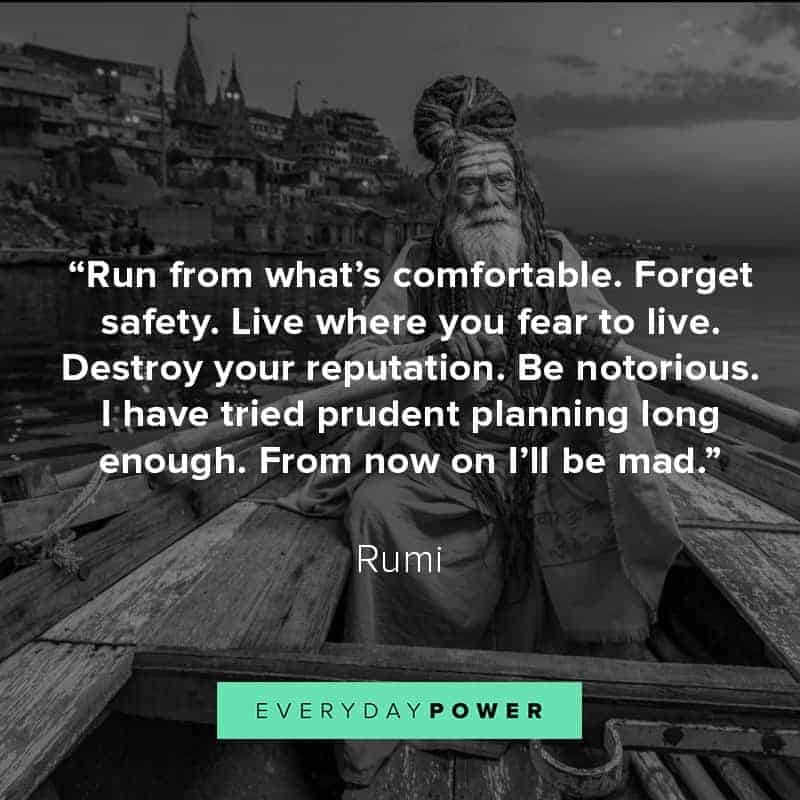 In his honor, below is our collection of inspirational, wise, and powerful Rumi quotes and Rumi sayings, collected from a variety of sources over the years. 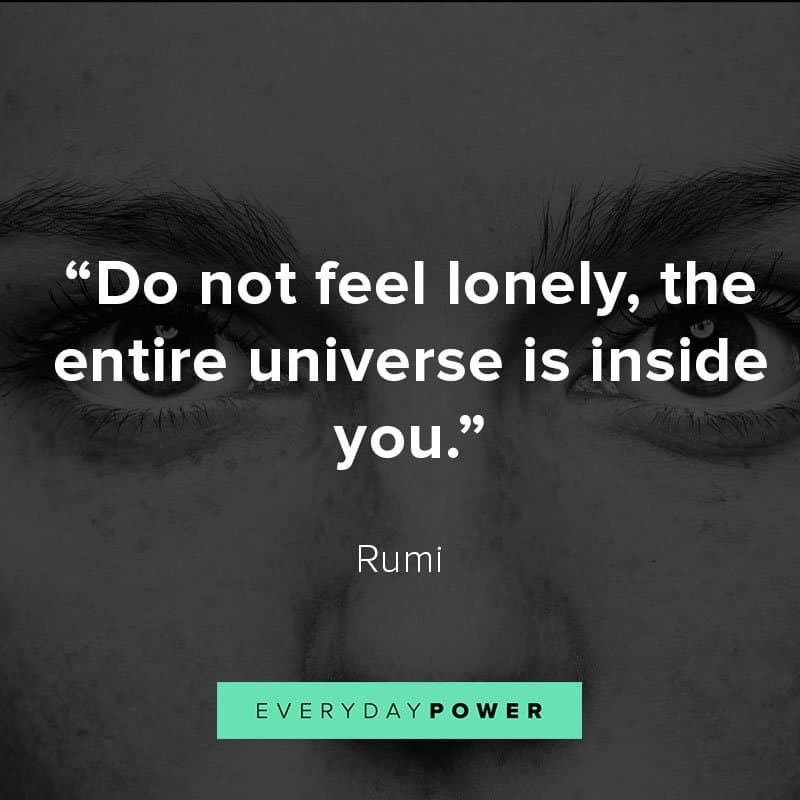 17.) 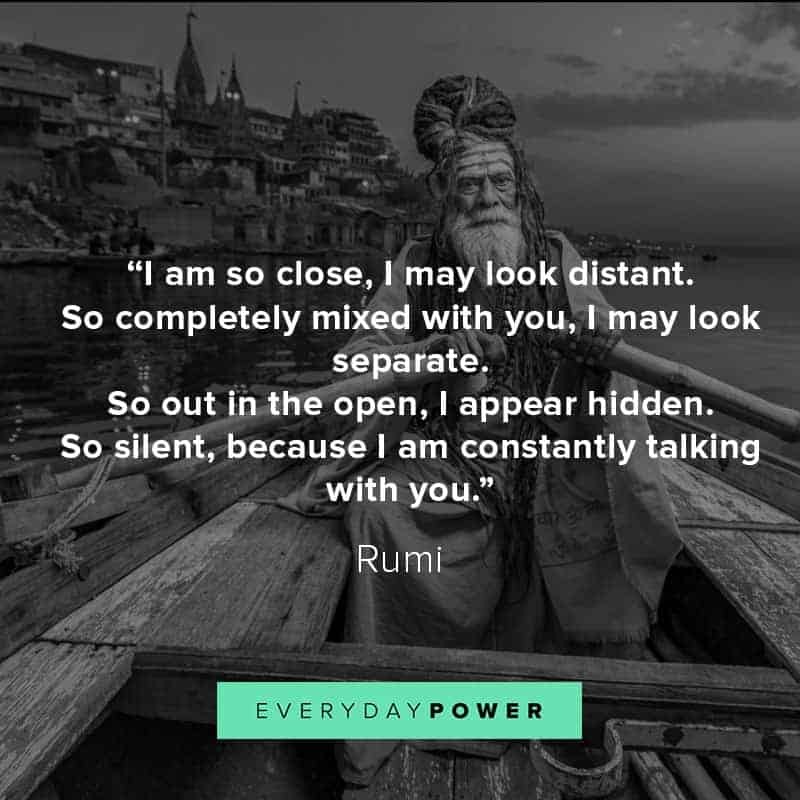 “I am so close, I may look distant. 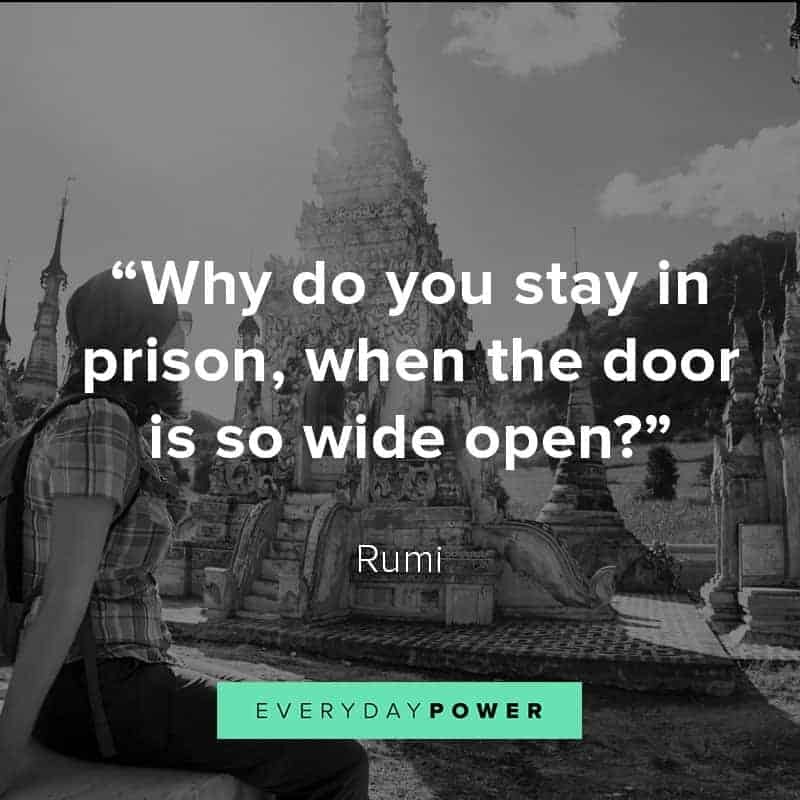 19.) 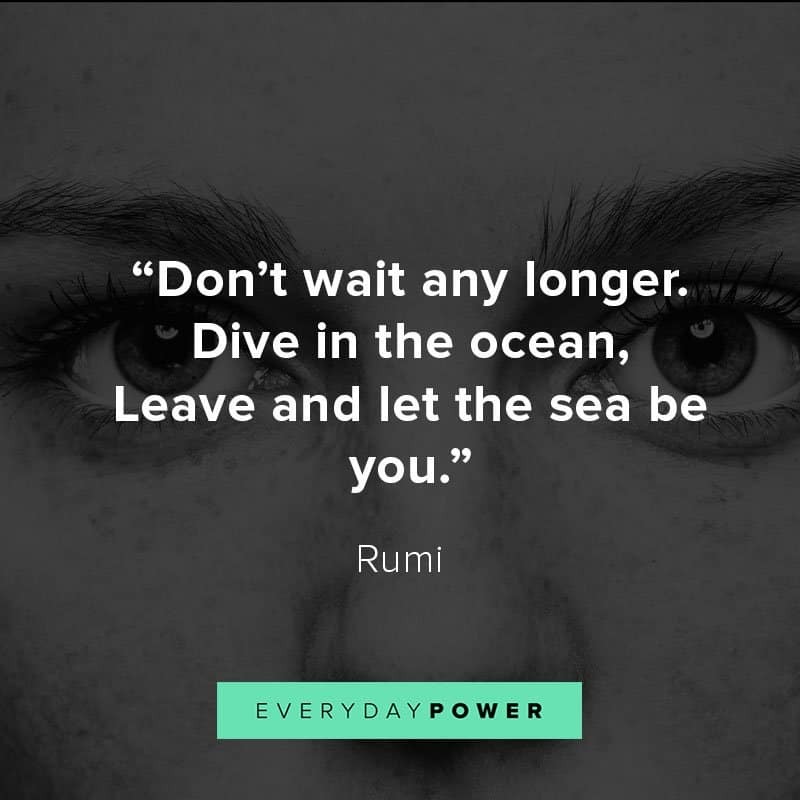 “Don’t wait any longer. 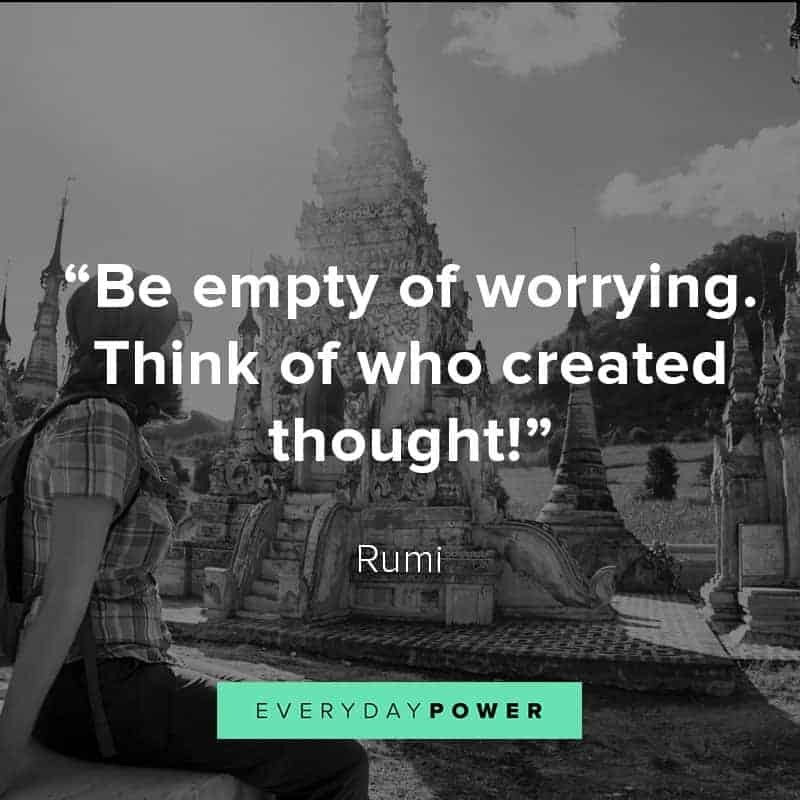 31.) 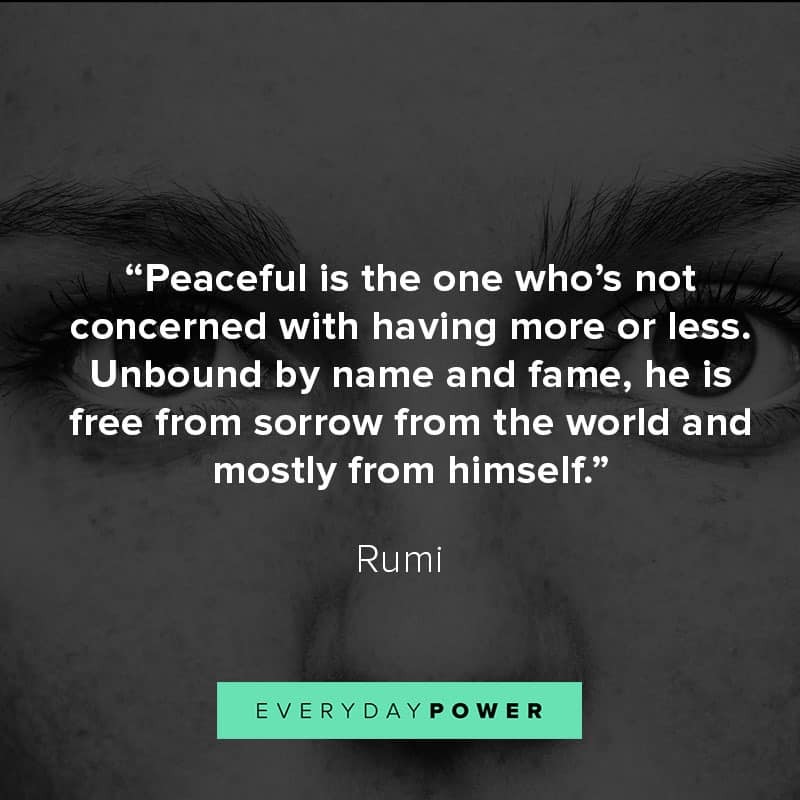 “Peaceful is the one who’s not concerned with having more or less. 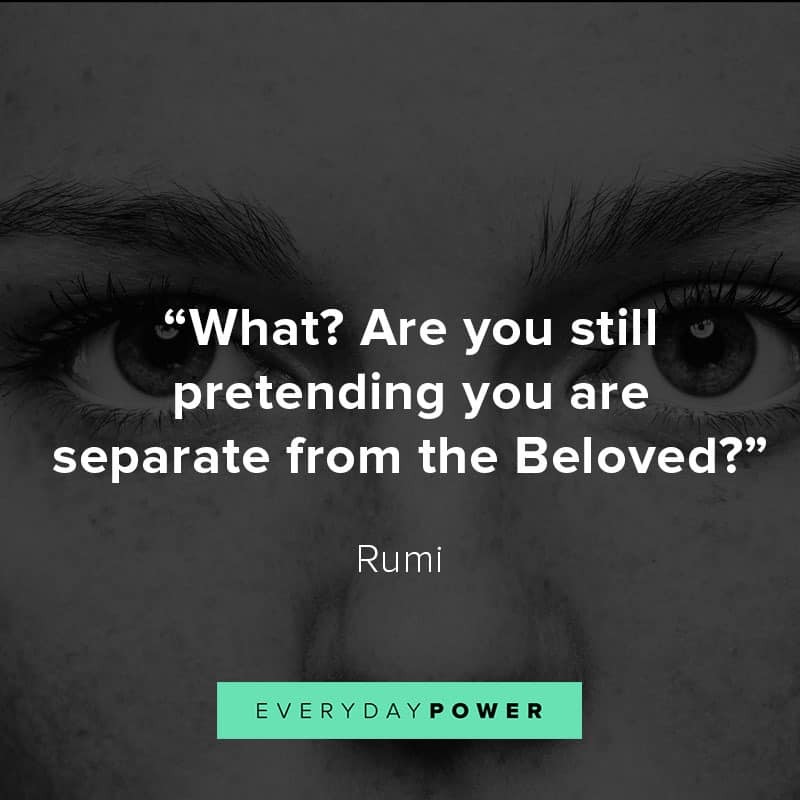 Did you enjoy these Rumi quotes? 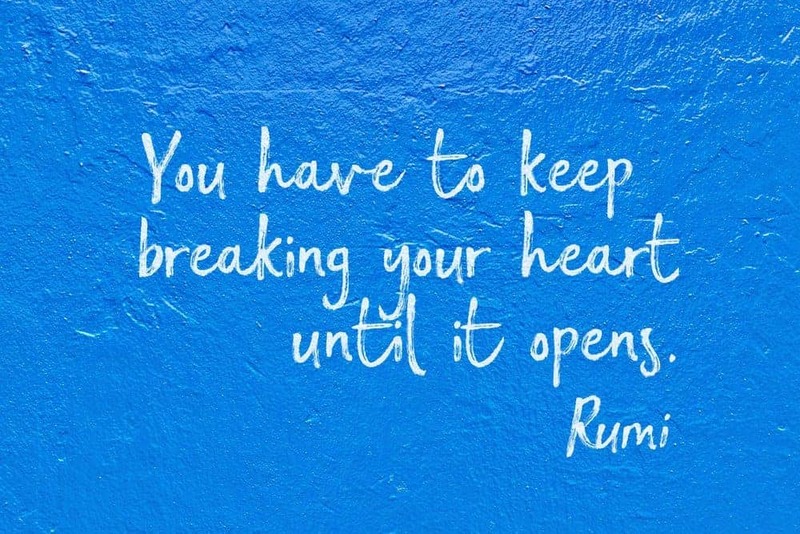 Rumi’s teachings transcend time. 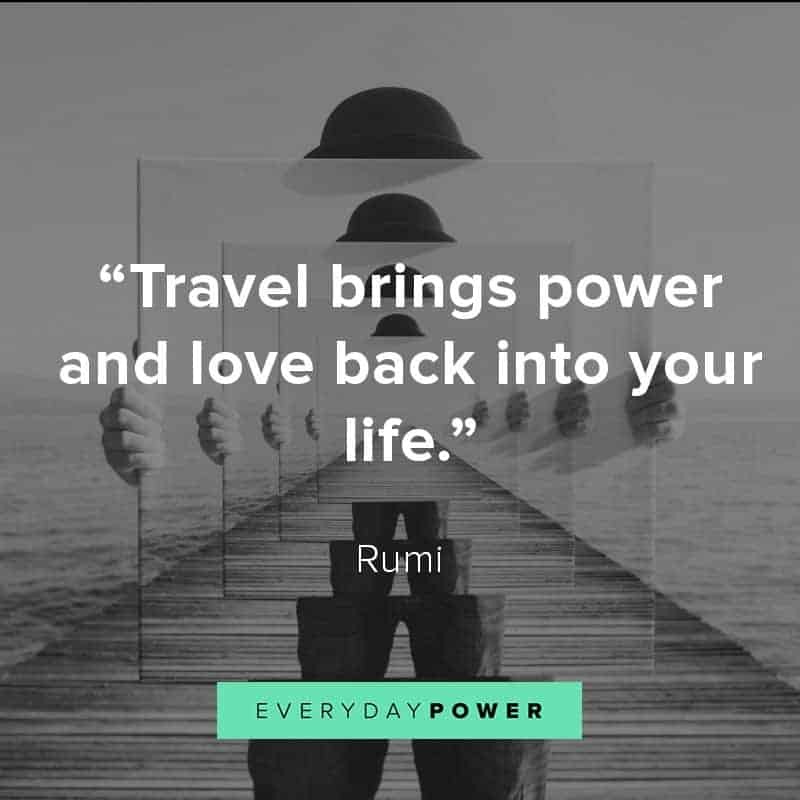 His timeless views about life and love continue to inspire people from all over the world. 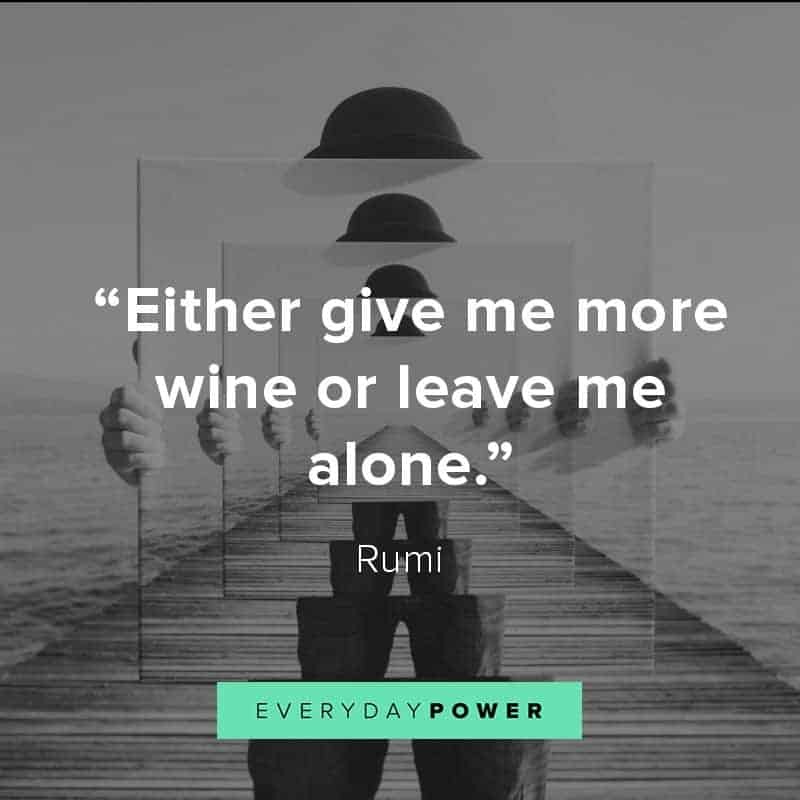 Hopefully, the above quotes by Rumi will help you achieve inner peace and contentment. 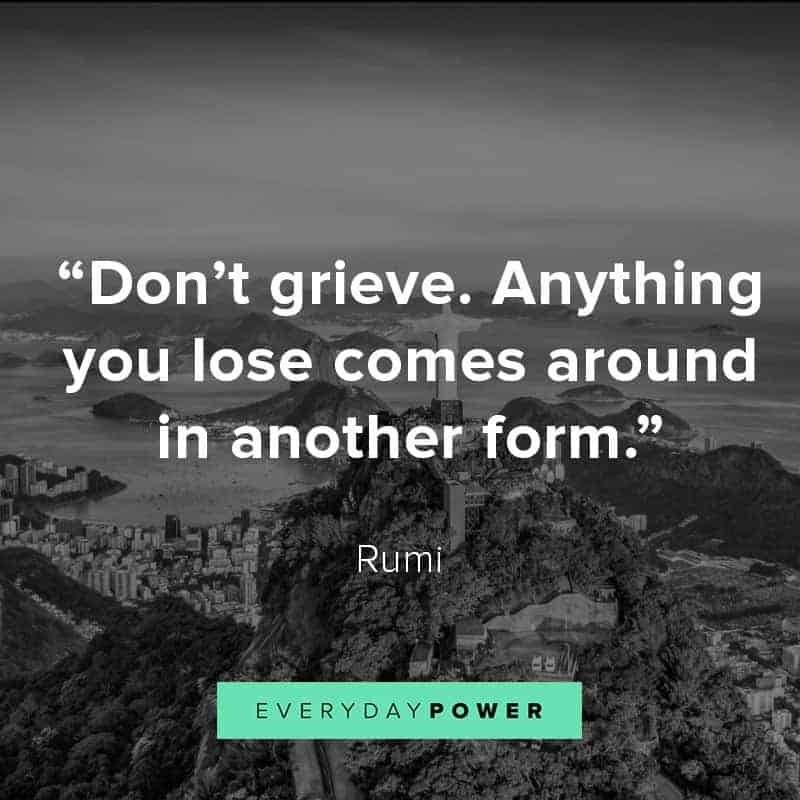 Did you enjoy these quotes and sayings? 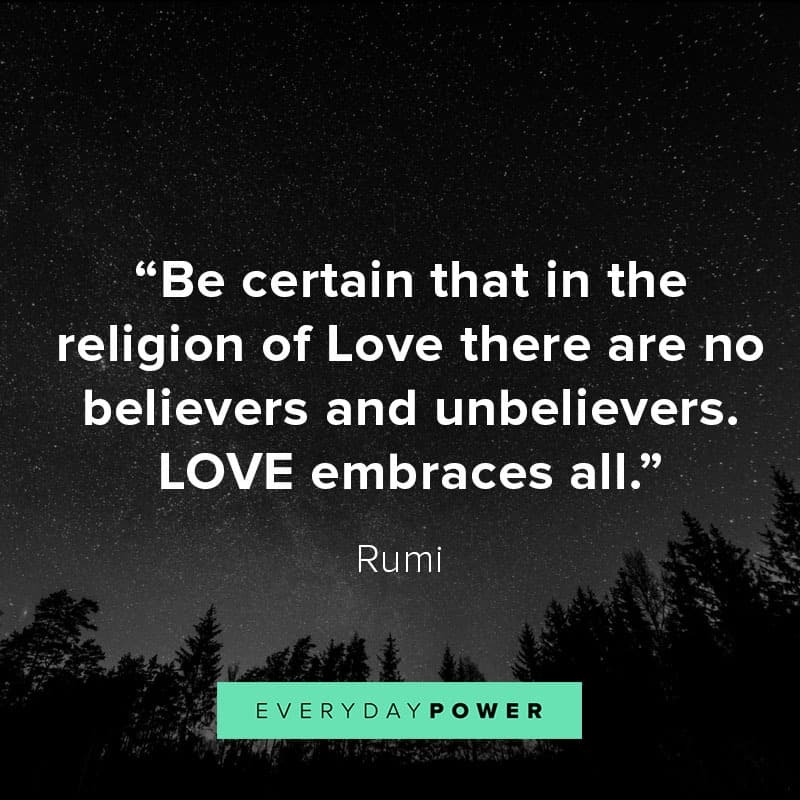 Which Rumi quotes about life and love is your favorite? 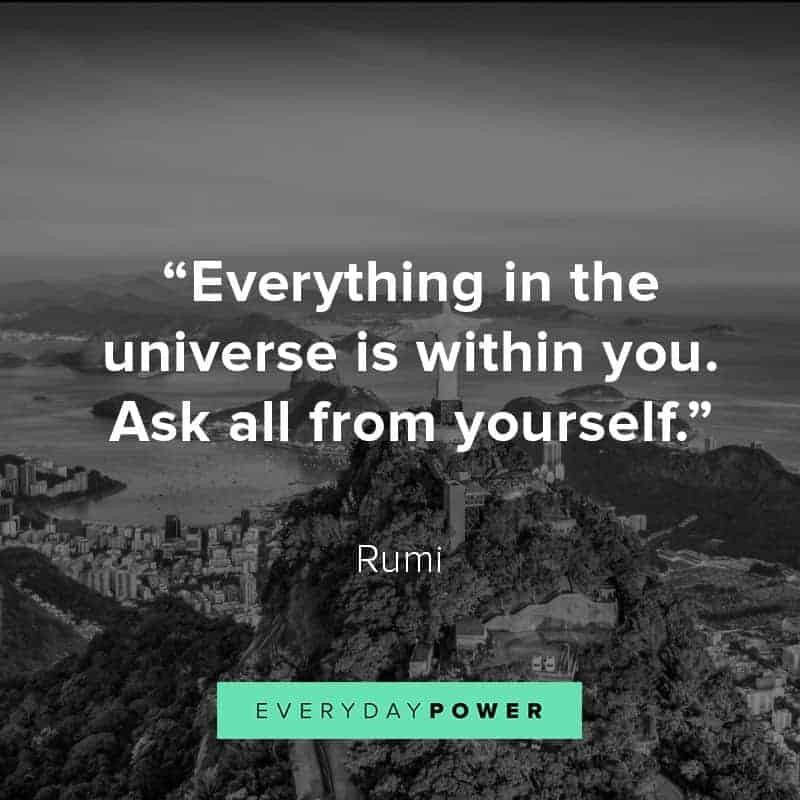 Tell us in the comments section! 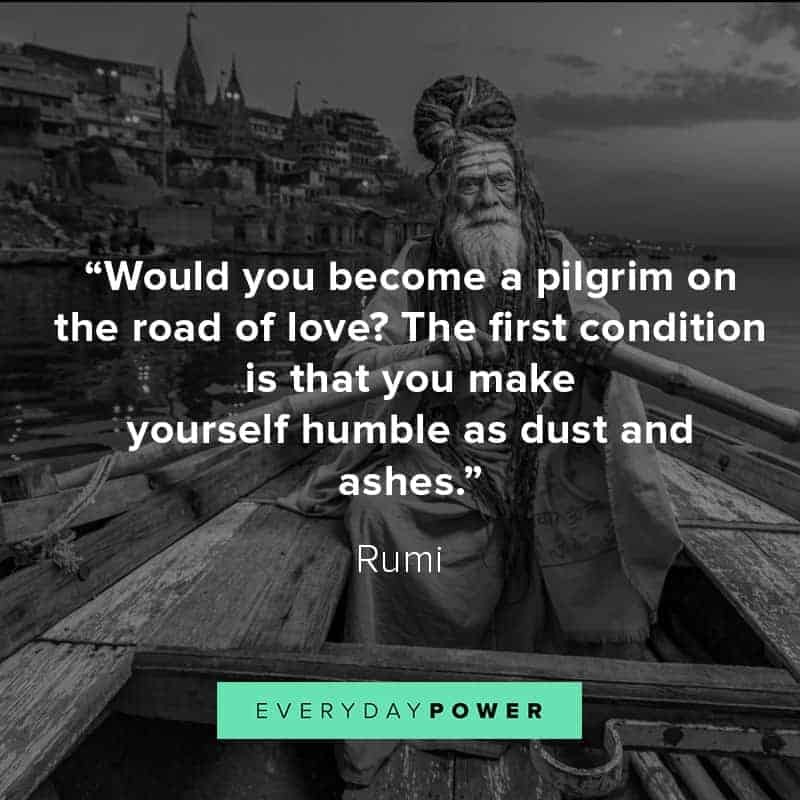 This quote gives me goosebumps. 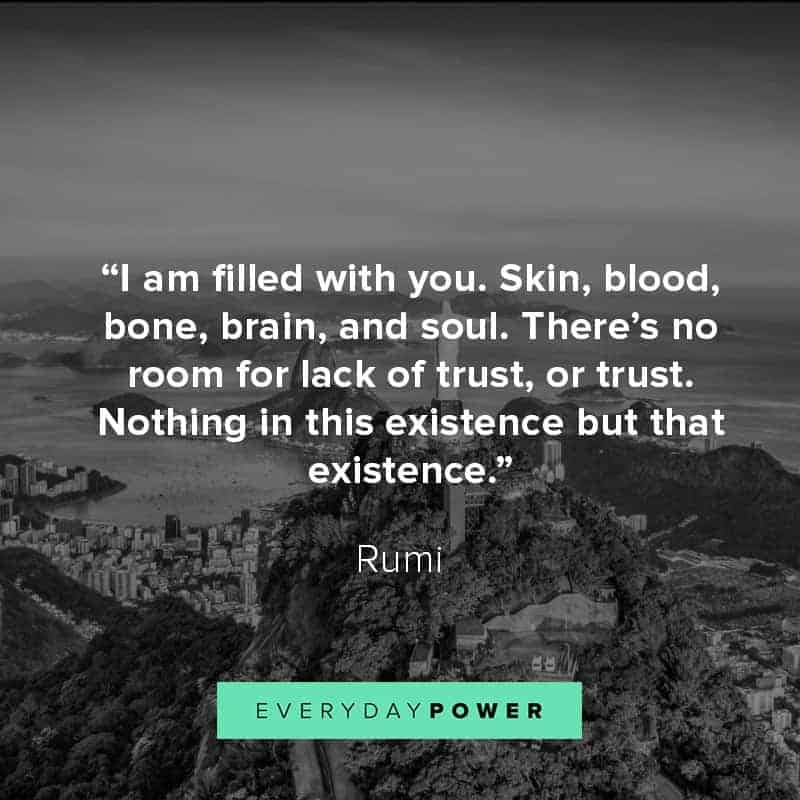 And a sense of authenticity….